What would your life look like if you felt great again? Sick of harmful painkillers & invasive surgeries? 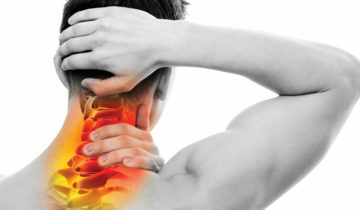 We’re the "leaders in non-surgical solutions to neck & back pain." Why go great distances for exceptional care? 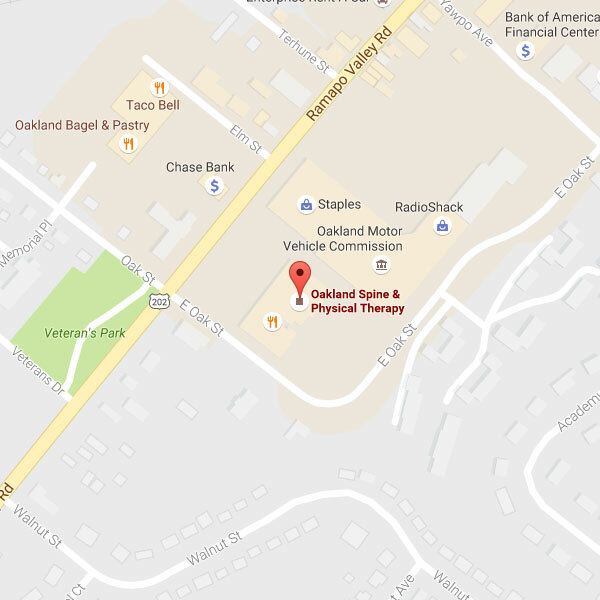 Oakland Spine & Physical Therapy brings award-winning doctors right to your neighborhood. There’s no better time than now to reclaim the healthy life you deserve. With our same-day guarantee*, you can call us in the morning and see us in the afternoon. 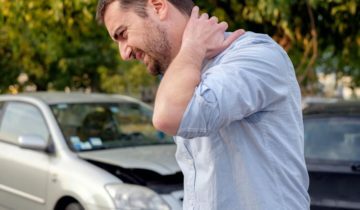 Recently injured or diagnosed and not sure what to do next? 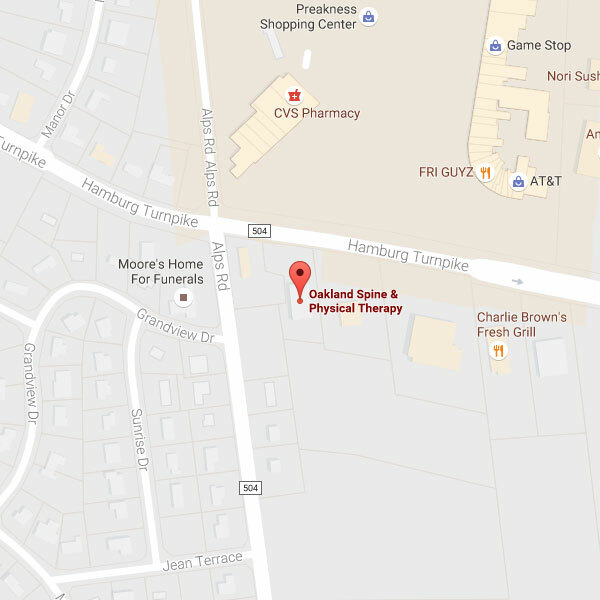 Oakland Spine & Physical Therapy’s mission is to help you regain and maintain a healthy, active lifestyle. Our caring team is committed to relieving your pain and improving your life with a cutting edge, holistic approach to health care and individualized treatment plans tailored to your needs. Through state-of-the-art rehabilitation, including chiropractic care, physical therapy, massage therapy, acupuncture, The Butler Spine Program, and more, we do more than treat symptoms – we eliminate the cause of the problem. Our holistic programs involve no drugs, no surgery – just results – so you can feel great about feeling great again. Each of our offices provide all services offered, so you can find everything you need to get healthy under one roof. Our award-winning doctors and medical staff are highly trained and at the top of their fields, so you know that no matter who you work with, you’re always working with the best. We offer same-day* appointment policies (with a guarantee for emergencies) and free second opinions so that you can focus on your health instead of logistics. 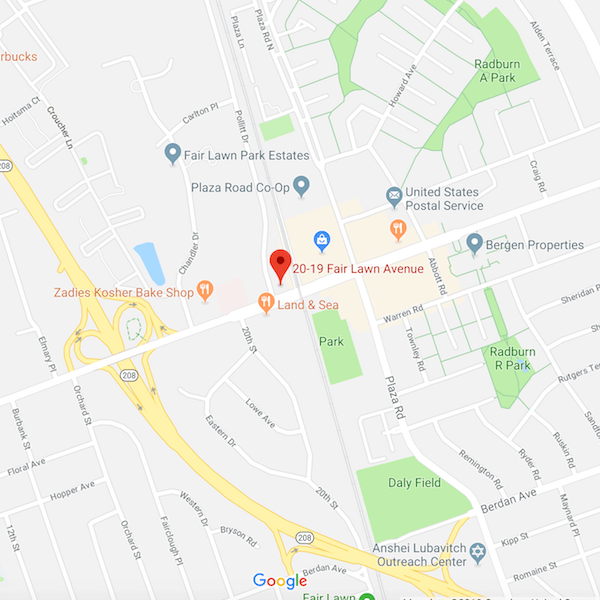 Our no-wait policy guarantees that your care begins within 5 minutes of your appointment time, so you can make your treatment a top priority without sacrificing others. I have seen a difference in my back pain for the better. Everyone has been helpful and friendly. I am satisfied with my results and hope to continue with the plan. Never having experienced acupuncture before coming to the center and not being very fond of needles, I was introduced to the ancient art by Sophia. She adapted her techniques to ensure my comfort and patiently endeavored to target my problem areas with a gentle, sure touch. She has a warm personality and a true concern for the patient’s well-being. Physical Therapy at Oakland Spine is great. The exercises I’m doing at physical therapy have been very helpful to my back and leg muscles. I especially like how I’m treated. My favorite part is the back scratches and heat! When I first came to Oakland Spine and Physical Therapy I couldn’t even sit up straight! After going through recommended treatment I am now living (and sitting) a healthy life! The staff is wonderful and friendly! I must thank you all for the professionalism that the entire staff here has shown me and my friends. I personally have become so much more flexible and mainly “pain-free” since starting various therapies here. I will continue to praise this place. Thank you. The staff at Oakland Spine & Physical Therapy center so far have been a great partner in my recovery. They are attentive and devise rehab plans that fit me. I look forward to continuing my program with them. I was treated very well, and mostly appreciated the promptness of being taken at my appointment time – hardly any waiting. The staff is extremely helpful and friendly, even to family waiting in the waiting area. A very well-run, competent office – and my back is good too! I love you all for so many reasons – getting me pain free and teaching me home techniques. Helping and taking care of my whole family! Always cheerful! I’m so glad I found you and I tell everyone!